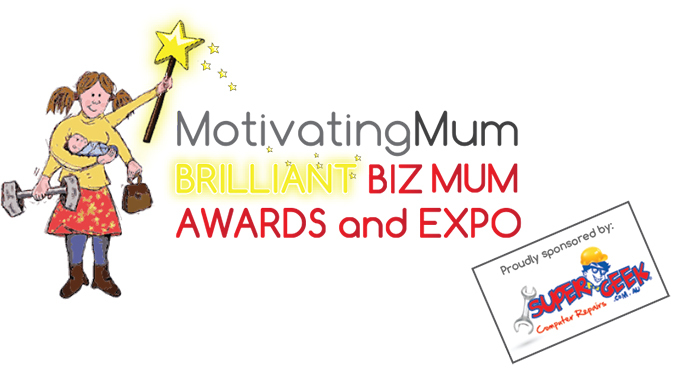 The Motivating Mum Brilliant Biz Mum Awards are halfway through and doing fab – but waiting for your nomination!! Entries are only accepted until March 15, 11.59pm so you had better get cracking..
I’m sure I have no need to point out why doing such a thing is a good one to do. Best Written Piece (non-blog) (who has written an article or press release that reads really well). I would normally say feel free to ask me to nominate you, but in this case I am a judge in one of the categories so I wouldn’t want to be looking to pervert the cause of justice! If you feel a little uncomfortable nominating yourself, then ask your partner, friend, parent, lover to do it. Remember, entries close March 15 with announcements April 1.